First and foremost, “Hanky-Plank” means nothing. It rhymes and it’s catchy, so you’ll remember it… Now that you’ve uncovered my hidden agenda there it’s time to get down to brass tacks! (PS I am certain it’s not “tax” if that’s what you’re thinking right now. Trust me, I am well versed in my haberdashery skills). The challenge is simple; Every OTHER day, hold a 5 minutes accumulated plank. It doesn’t have to be 5 minutes in a row, but does need to total 5 minutes. Once you are able to 5 minutes in a row, then it’s simple… Add another minute! If you get to the point where you can hold a 5 minute plank continuously, then go to 6. Once you can do 6, then go to 7… Trust me, the numbers won’t be climbing at a rate you won’t be able to keep up with :). The goal; To strengthen your core to the max! Out of all the exercises in existence, I believe the plank is the most structurally sound when done right. It reinforces your body from the inside out, incorporating your entire body in learning how to work together as a whole. Having a strong plank will not only better the quality and effectiveness of your workouts, but also your life! It is functionality training at it’s finest when done right, and that’s what I’m here for… To make sure it’s done right ;). By the end of this thing, I hope to have created some plank MONSTERS! The prize; You will get a special “Plank Specialist” t-shirt provided and designed by myself, customized to YOU, as well as a highlighted spot on the shovel when it comes time to sign it! 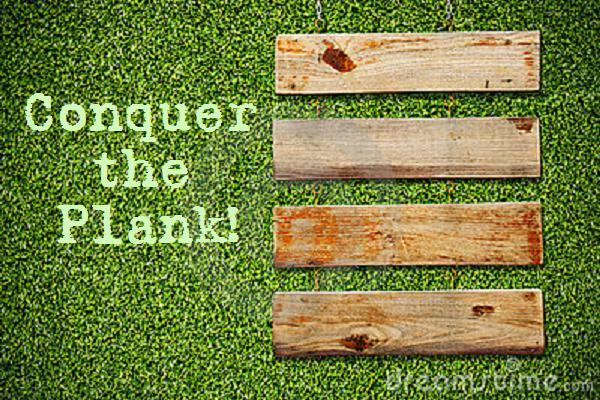 You have earned both simple-yet-prestigious prizes if you are able to take the top plank spot! 1) The winner will be decided during the end of challenge fit test once both teams have done said test. DURING the challenge however, I strongly encourage doing the plank in the “knees down” position if it is too much for your lower back. Hurting yourself is not worth it when the goal is to better yourself. 4) We are going on the honor system here, since in the end the fit test will show the practice! I promise that if you follow these guidelines your plank time will not only go through the roof, but your body will feel like brand new! It we will be hard work, but that’s what makes it worth it. The benefits FAAAAAAAR outweigh the energy output used in tackling this challenge. You will have a reinforced structural integrity that you will be able to reap the benefits from well past your workouts and into your every day life. LOVE THIS! Starting the Hanky Plank challenge tomorrow shooting for 1 minute followed by 30 second rest breaks. GET SOME! !